Soccer is a demanding sport that requires great preparedness. You have to be in excellent shape in order to give your maximum in the field. Keeping in mind that the game lasts for 90 minutes, it is quite clear that you need serious training and preparation if you want to be one of the best. 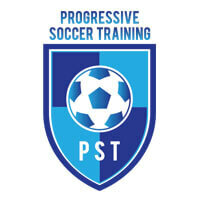 You may be wondering what the most important aspects of soccer training are and how to get in shape for soccer. The good news is that all you have to do to get in shape for soccer is to follow a few simple guidelines. You might have heard the saying that you are what you eat. That’s definitely true. 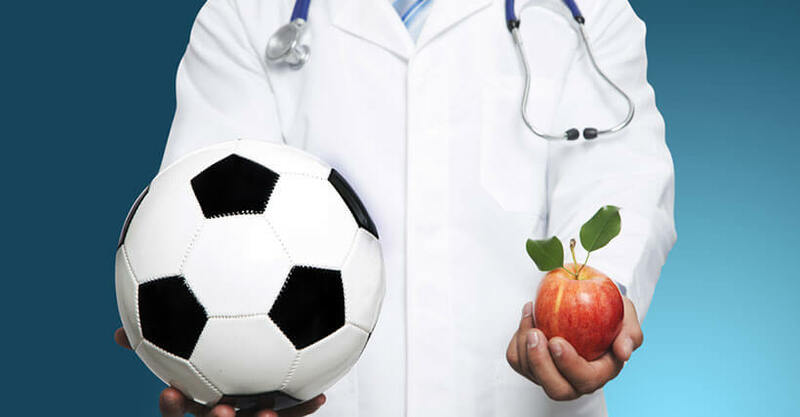 Professional soccer players invest tons of money in first-class nutritionists and dietary plans, which is proof that nutrition is extremely important. If you can’t hire an expert to advise you about your diet, then pay attention to several things on your own. Make sure your diet is well-balanced and that it includes lots of complex carbs, protein, and fat. Therefore, eat whole-grain food, meat, fish, dairy, fruit, and vegetables. Avoid greasy, deep-fried food, especially before the game. Sugar and honey aren’t a smart choice right before the game as well because they can make you sleepy. And don’t forget to hydrate! The best choice is water, before the game, during the game, and after the game. Any type of beverage is best when it’s not too hot or too cold since the body absorbs it faster if it’s the same temperature as the body itself. Many players make the awful mistake to think that warming up isn’t important. It’s not only important, it’s crucial! Proper warm-up and stretching exercises prepare your body for extra efforts and keep you safe from injuries. That’s why you should take 15 minutes before and after each training session or game to stretch properly. Combine stretching with running in place, some slow jogging, and jumping to loosen your muscles and warm up well. Also, a few sit-ups and air squats can help you activate your muscles and prepare them for a serious training session. A soccer game demands 90 minutes of walking, running, sprinting, and jumping, so make sure you can endure all of that. Cardio training can help you build up both your stamina and boost your speed. Treadmills, jogging tracks, and even the soccer field, they’re all great friends of your cardio training. Try all the modes – walk in long steps, jog, and sprint. Change both the distance and the speed as often as possible. Suicides are extremely effective cardio exercises so you can include them in your training routine as well. Cardio training can also help you lose some weight, which will make you faster and agiler in the field. Although many people think that weight training makes you bulky and slow, it’s just a myth. Weight training helps you strengthen your muscles and control your actions better. It can improve your jumping, speed, endurance and explosiveness. The most important thing about weight training is to be careful and not to overdo it. Start with smaller weights and level up gradually. Activate all your muscles and don’t neglect your upper body just because you’re a soccer and not basketball player. You need agility and stability and you can gain that only if you train your whole body. Finally, we advise you to combine free weights and machine weights for the best and fastest results.